Does lycopene offer human LDL any protection against myeloperoxidase activity? Lycopene is a lipophilic antioxidant that is largely transported in human blood by Low Density Lipoproteins (LDL). One of the early events in the aetiology of atherosclerosis is thought to be the oxidation of LDL. Myeloperoxidase an enzyme secreted by neutrophils and macrophages is thought to oxidise human LDL particles. 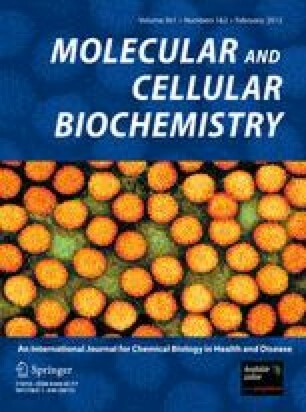 In this study, isolated human LDL was challenged with myeloperoxidase or copper, and the LDL was screened for lipoperoxidation and oxidation of apolipoprotein B100, depletion of lycopene and oxidation of cholesterol. Myeloperoxidase induced oxidation of LDL through direct interaction with apolipoprotein B100. No lipoperoxidation was observed following myeloperoxidase treatment; however, 7-ketocholesterol was detected indicating the products of myeloperoxidase interact with the surface of the LDL particles. Lycopene does react with the products of myeloperoxidase in solvent, but played no role in protecting against enzyme derived oxidation of human LDL. The authors would like to thank the European Commission Sixth Framework Programme for funding the project LYCOCARD (Contract No. 016213). Finally we would like to thank all the volunteers at LJMU for their kind donation of blood.